Did you know that if you purchased a Gibson Les Paul in 1961 it would have looked like this? 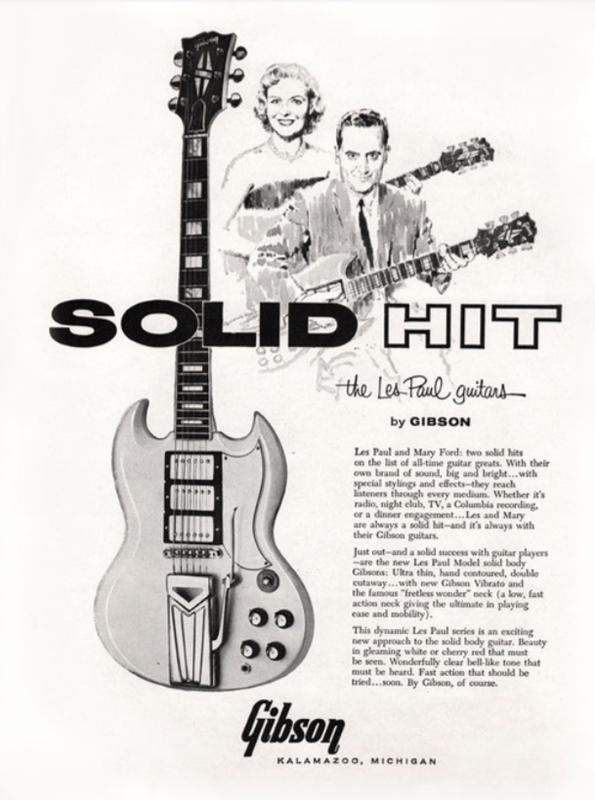 In 1961, Gibson stopped producing the traditional shaped Les Paul in favour of a lighter redesign, which was later called the Gibson SG. Here is an early ad from that year.